Quality sales training must include how to deliver a effective sales presentation. 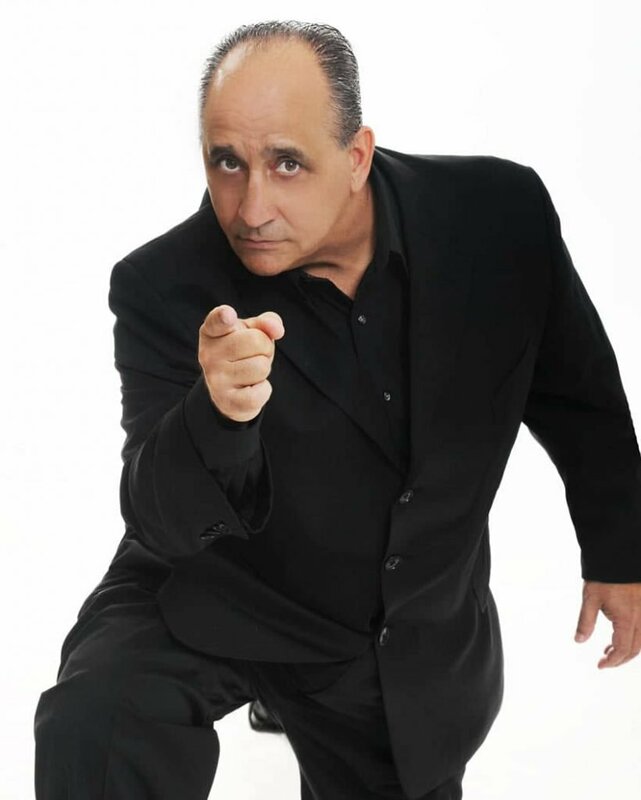 Do you have a process and procedure for your sales presentation or tend to ‘shoot from the hip’? Although, selling from charisma or innate ’talent’ will certainly capture a few sales. Unfortunately, for many perspective clients, a charming smile and glowing personality can be difficult to follow or come off as deceptive. At Pici & Pici our sale training specializes in helping sales professionals close more deals by sharpening their sales skills and tightening up their sales presentations. If you have been doing too many sales meetings that have produced little to nothing, read on. Many believe the sales presentation is about their product and themselves. That it is designed to gain an immediate sale. We disagree. Our sales training focuses the sales meeting on the client and is designed to begin the sales process. Sometimes a sales meeting will result in an immediate sale. However, more often it is only the first of several contacts to help the potential client make a decision to purchase. Your roll in this first step is that of analyst. An efficient sales presentation begins with a value proposition and probing questions about their potential need. Many sales training books suggest a period of time to break the ice. This is scomplished by complementing the décor or finding a common outside interest. It’s been our experience that busy decision makers do not have time for this. Show you respect them and their time and get to the point quickly. One way to do this is to begin with a question. In addition, there is no better way to develop trust than to ask probing questions about them and their business. Create dynamite Value Propositions the FAST -EASY way! 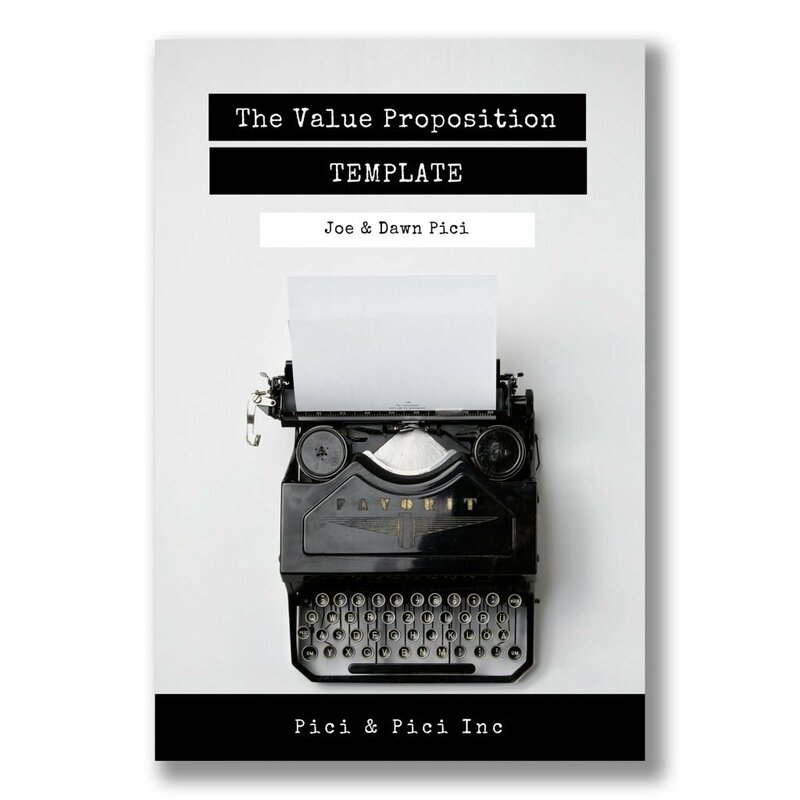 Click HERE and download our FREE Value Proposition Template. Validate Your Client: All of us seek validation. One of the ways we validate others is to show that we care about their opinions. Therefore, the first thing I do to validate my client is to be very quiet and listen. In fact, few sales professionals shut up long enough to hear anything the client is saying. Instead, they are so intent on making a sale they they press for the close regardless of the clients needs or desires. Let me add here that shutting your mouth is only half of the equation for effective listening. In addition, you must also stop the voice in your head. Instead of thinking about your clever response, physically take notes. Look at the client and analyze how best to help them. • Clarify: Repeat back what you think your heard. “So let me make sure I’m with you. What I hear you saying is…” As the client hears their ideas from you it may prime their thinking to add other concerns. In addition, continue this process to reveal the most urgent and important items. Here in steps two and three you play the role of business coach. Next, you will ask questions to reveal why they want your offering. What results are they looking for? Most importantly, which metrics will they use in determining these results? For instance, clients come to us looking to increase sales. We need to know specifically what their sales and closing ratios are now and their sales goals. Understanding the reason a client is purchasing your product is central for knowing which product is best to deliver the desired results. Most importantly, ask them when they want to begin seeing improvement in the areas of concern. In analyzing the success of our sales meetings, the contracts that did not close had one thing in common. I could not get any of them to decide upon a hard and fast timeline to begin the process. Don’t walk out of your meeting without their timeline for implementation. If your client is struggling to answer the questions from steps 1-3, they will struggle even more to write you a check. 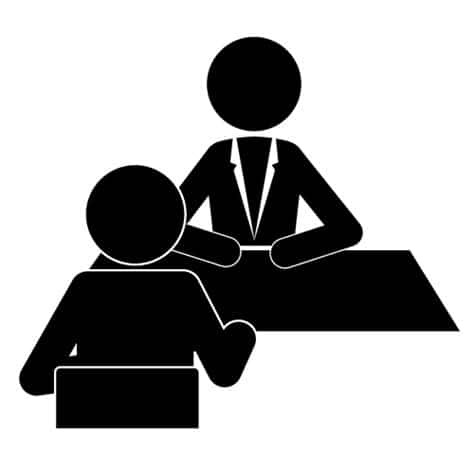 In this final step you become your clients advisor. Once you have the answers to these questions the stage is set to talk about your solutions (products) and perhaps close the deal. Take note that your client is more likely to listen to your suggestions and advice because you built rapport during the sales process. 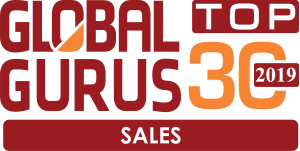 The goal of our sales training methodology is to move from an adversarial position to becoming your clients trusted advisor. We call this Rapport Mastery™. 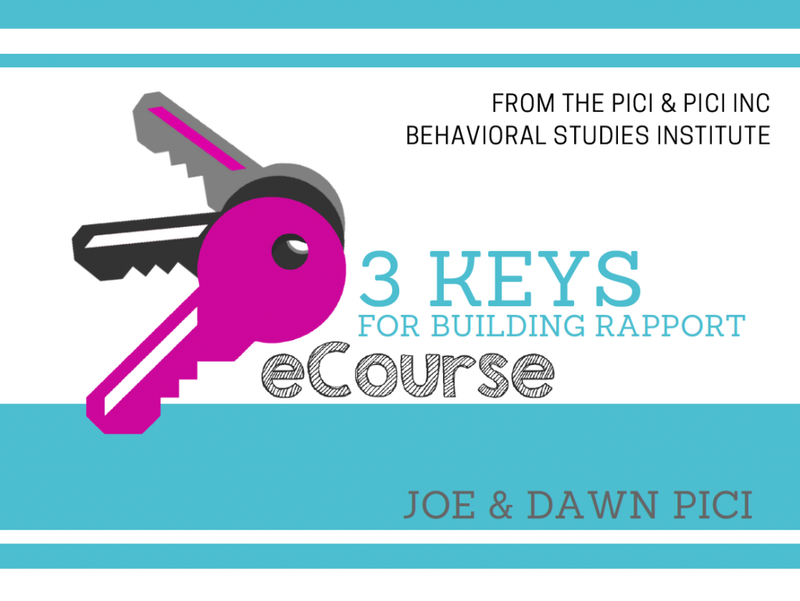 Discover how to build rapport in our free eCourse “3 Keys for Building Rapport”. The fact that you are reading this blog indicates there may be something you are looking to improve. Therefore, take out a pencil or pen and write down the answers to the following. First, are you aware of any areas that may be impeding your growth or productivity? Take time now and write down a few. Successful people can identify their obstacles. In fact, they not only identify them, they also do something to remedy the situation. Second, once these areas are addressed, what goals would you be able to achieve? Finally, by which date do you want to achieve these goals? You’re responses to these questions reveal what I refer to as your ‘non-negotiables for success’. There are certain things that you and I are going to have to get better at to achieve our goals. In business these are usually in the categories of skills and/or strategies. For example, you may need to realign you marketing, develop better value propositions, generate more leads, or improve your sales skills. Maybe you need to steam line your operations or add/delete a product line. Those of you looking to move ahead in your career may need to receive more training to update your skills and stay abreast of the latest trends and technologies. Gain valuable tips from Dawn & Joe ! Get FREE tips and insider info. Just fill out the info below. Gain valuable tips from Dawn & Joe! Get your questions answered now!